A swimming pool for grown-ups! For relaxing and having fun, come to our campsite's heated aquatic park! A reminder for sportspeople: the semi-Olympic swimming pool, 25 metres in length, is a wonderful place for people who enjoy a bit of swimming! And so that you can enjoy it in all kinds of weather, it has a cover which turns it into covered swimming pool for everyone's enjoyment. At the Yelloh! Village Parc de Montsabert, the whole family will be free to enjoy the delights of the water! People of all ages will be able to quietly enjoy the benefits of water and will love using the two waterslides: a 3-lane multislide and a waterslide. At the Yelloh! 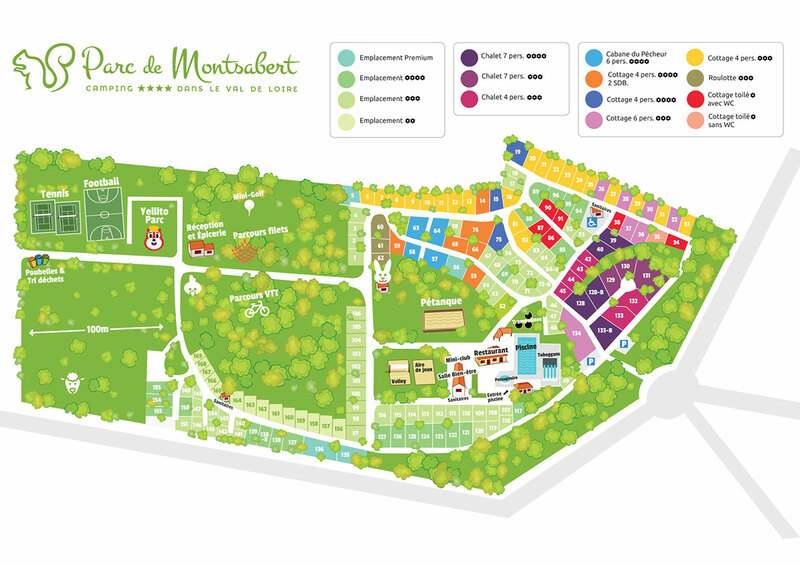 Village Parc de Montsabert, we've given a great deal of thought to the very small as well! For their first experiences of the water, we have installed a paddling pool especially for them, a long way away from the noise and excitement of the large swimming pool. So come and enjoy some special times together at the aquatic park of the Parc de Montsabert; your best memories will be those of time spent with your family!